There is this belief that your eyesight will start to fail when you are around you mid 40's and the optometry profession will have us believe that virtually 100% of the population will need reading glasses form the age of 52 onwards. However, outside optometry circles, this is clearly not true. There are many people who have relatives who newer use glasses for reading or anything else. I know a grandmother, 92 years young, who can thread a needle withou glasses. When you think about it, you may remember someone who newer used glasses as well. There is no expiry date for eyesight! What happens depends on your lifestyle or working environment. A 10-year old has a focusing rang of almost 20 diopters. That is, he or she can focus on something 5 centimeters from the nose as well as being able to count the three tops on the horizon. Depending on your environment, you may slowly loose visual flexibility (accommodative amplitude) and when you need reading glasses you have only about 5 diopters of focusing ability left. You will notice this when you need more light to read a magazine and have to hold it further away. 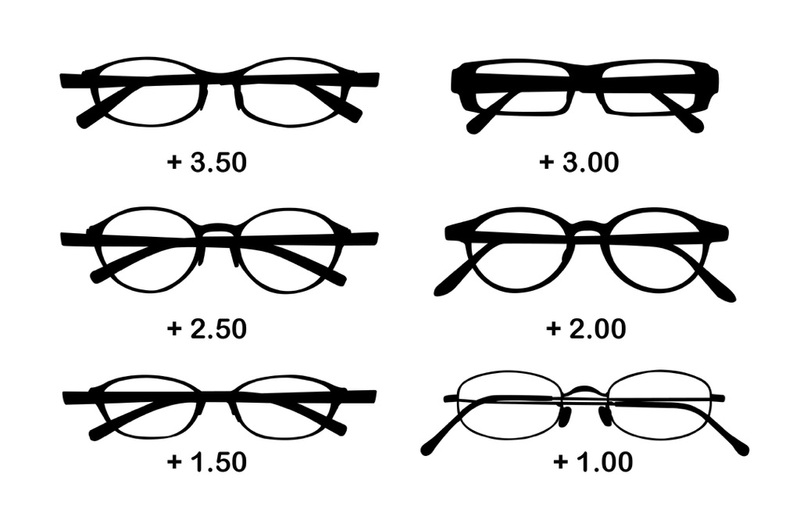 If you follow the advise of your optometrist you will have to start wearing reading glasses, which in the beginning will be + 1.00 diopters. Then, as you will probably find out, a week or two after you start wearing them, things you could read previously read perfectly well withou glasses, now become difficult to read without them. In a sense, they have become addictive and soon you will need stronger lenses to read. Reading glasses are magnifying glasses. When your reading glasses are more than +2.00 diopters your distance vision have been affected. Your eyes have adapted to the glasses and you cannot read street signs anymore. Your friendly optometrist will ten suggest you need bi- focal lenses, one prescription for reading the street signs and one for reading the dashboard. Most likely you will end up buying varifocal or progressive lenses whereby you have on prescription for driving, one prescription in the middle for computer work and finally a prescription for reading. The sales talk will be very persuasive - you'll only need one pair of glasses for everything - very convenient. Your vision is restricted to be only where your nose points. When the varifocal or progressive lenses get stronger your vision is further restricted and eventually you can't see anything clearly without them - near or far. 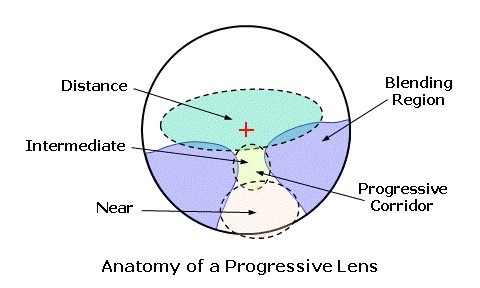 Progressive lenses are very expensive and the optometrist obviously knows this and commercial dynamics dictate that he will most likely recommend progressive lenses over any other solution. Progressive lenses are especially common in countries where customers are not informed that the lenses can be returned with a full refund if you can't get used to them. Here are a pair of glasses that will fit you. If you wear progressive lenses you may be told that you will need to get used to them. If you look through the wrong lens band when walking you may find that the ground is moving, in view of this, it is actually dangerous to walk downstairs wearing such glasses. How do we restore the ability to read small print again? If you have just started to wear reading glasses and can still read larger print clearly without glasses then the process is very quick. In a few days you will be able to read small print by candlelight. You need to reduce the power of your readers as you improve. If you have advanced to strong varifocal or progressive lenses and can't read anything without them, you will need to gradually decrease their strength as your vision improves. I have seen numerous examples of people going from +3.00 diopters to training glasses with +1,50 and finally, a day later, not needing reading glasses at all. It's amazing how quickly the eyes can return to normal. 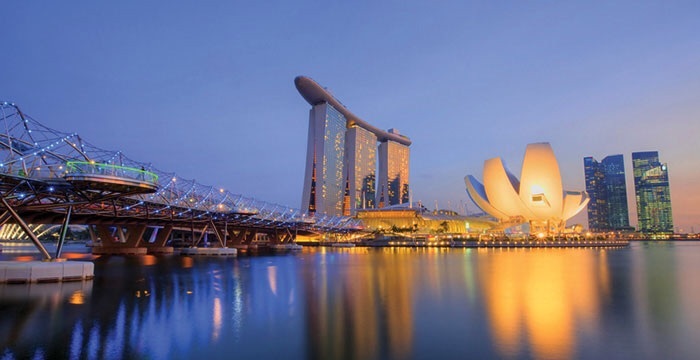 12 September, 2015 from 1:00 to 7:00 PM and 13 September, 2015 from 10:00 AM to 5:PM.